Blood fats are called lipids, and they circulate throughout the body. They play a wide variety of roles in normal organ function and metabolism. Elevated blood lipids – called hyperlipidemia – in humans are major causes of cardiovascular diseases like atherosclerosis, insulin resistance, and hepatic lipidosis (fatty liver syndrome). Do pet parents need to be worried about hyperlipidemias? Yes! This week I share information about hyperlipidemia in our furry friends. I hope you will consider sharing the information with other pet parents you know. Happy reading! Hyperlipidemia – From where does fat come? Cholesterol in dogs and cats is typically in HDL – the so-called “good cholesterol” – rather than LDL (the “bad cholesterol”). Chylomicrons and VLDL are generally involved in triglyceride metabolism, while LDL and HDL involved with cholesterol metabolism. Chylomicrons, VLDL, and LDL are largely responsible for distrusting cholesterol and triglyceride to cells throughout the body. Conversely, HDL predominantly scavenges excess cholesterol from cells and delivers it to the liver. Hyperlipidemia – How is lipid absorbed from the diet? When fat in the diet enters the intestinal tract, a hormone called cholecystokinin is secreted by small intestine. This hormone stimulates the pancreas to secrete digestive enzymes like lipases and cholesterol esterase. These enzymes interact with micelles to further break down triglycerides and cholesterol esters into monoglycerides, free cholesterol, and long chain fatty acids (LCFA), all forms that are easily absorbed by the small intestine. Cholecystokinin also causes the gall bladder to contract, emptying its contents into the small intestine. Components of bile, including bile salts and lecithin, interact with monoglycerides, free cholesterol, and LCFA to form micelles that are passively absorbed by the small intestine. Dietary short chain and medium chain fatty acids are readily absorbed by the small intestine. Once inside the cells of the small intestine, these components are converted back to triglycerides and cholesterol esters. They are then repackaged together in chylomicrons and transported throughout the body. When chylomicrons arrive at their target tissue, specific enzymes and hormones breakdown the triglyceride in chylomicrons to release LCFA and glycerol. The LCFA are then either stored in tissue or used as energy. The remaining chylomicron (called a remnant) is removed from circulation by the liver. Hyperlipidemia – How are lipids produced in the body? VLDL – Extra LCFA combine to form triglyceride. The triglyceride is then packaged with cholesterol in to VLDL and subsequently secreted into the bloodstream. 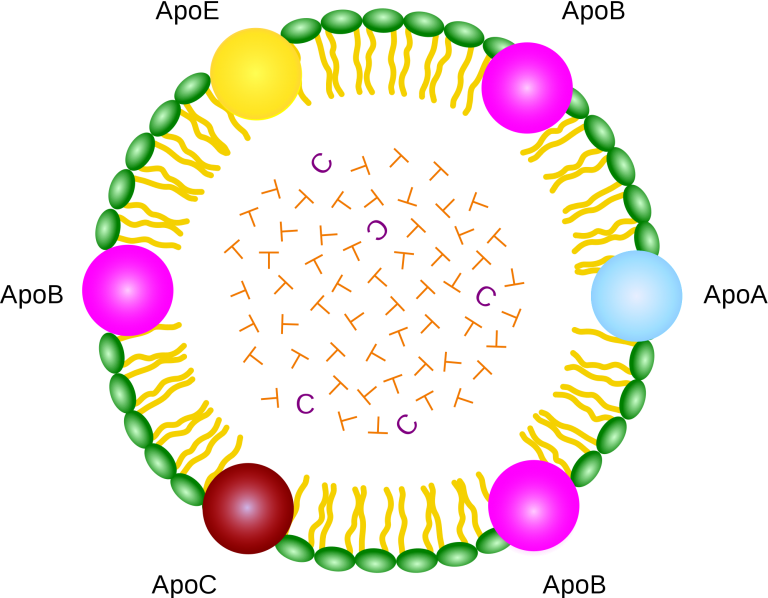 While circulating, a hormone called lipoprotein lipase causes LCFA to break away from the VLDL. If triglyceride is also removed from VLDL, then a cholesterol-rich particle called LDL remains. The primary function of LDL is to transport cholesterol to the liver and other tissues. LDL is subsequently removed from circulation by the liver. HDL – HDL particles have a lot of protein and not a lot of lipid. They are important for lipid metabolism. They scavenge excess cholesterol from cells and return it to the liver for re-processing. Hyperlipidemia – What causes it? The most common cause of hyperlipidemia is called physiologic hyperlipidemia. Also called post-prandial hyperlipidemia, blood cholesterol and triglyceride levels increase following a meal. Hyperlipidemia – What does it look like? The clinical signs in patients with hyperlipidemia are quite variable. Patients with hypothyroidism may be overweight with reduced activity levels and haircoat changes. Patients with diabetes mellitus and Cushing’s disease often drink large volumes of water, have voracious appetites, and need to urinate more frequently. Common signs of hyperlipidemia include vomiting, diarrhea, and abdominal discomfort. This may be due to pancreatitis. Severe elevations of triglyceride levels in dogs and cats has been associated with seizures, nerve paralysis, and skin lesions called cutaneous xanthomas. Hyperlipidemia – How is it diagnosed? Documenting elevated cholesterol and/or triglyceride levels in dogs and cats is quite easy. A simple blood sample is need. Please note a pet should be fasted for at least 12 hours before testing blood fat levels. Many parents worry about fasting their fur babies, but please have no fear. The typical pet – just like the typical human – will not suffer with a fast, and results will be accurate! Once your family veterinarian has documented a persistent hyperlipidemia, further diagnostic investigation is generally warranted. Why? Most pets are living with a secondary cause! 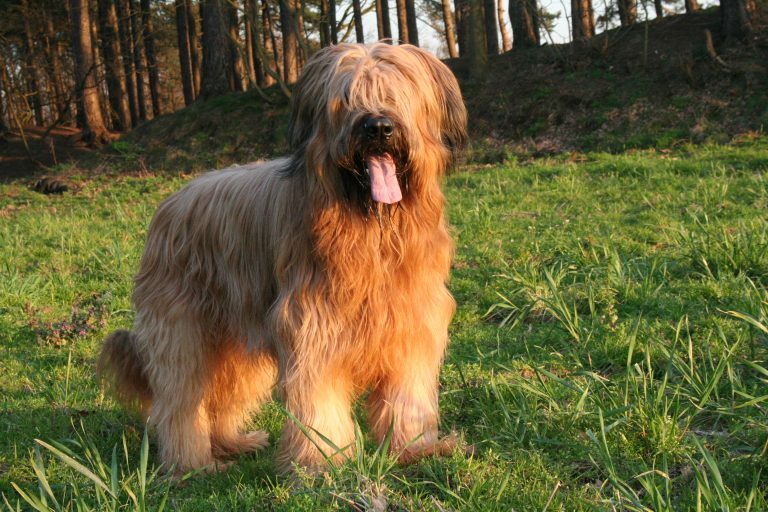 Furthermore, one can diagnose a pet – even one of a predisposed breed – with a primary hyperlipidemia until all potential secondary causes have been ruled out. For this reason, pet parents may find it helpful to partner with a board-certified veterinary internal medicine specialist to develop a logical and cost-effective diagnostic plan. Hyperlipidemia – How is it treated? Partnering with a board-certified veterinary internal medicine specialist can be helpful to develop an effective therapeutic plan. Just as in people, elevated cholesterol and triglyceride levels in dogs and cats are worrisome. A thorough diagnostic process is recommended to determine the underlying cause of these derangement so interventions can be employed as soon as possible. With effective control of hyperlipidemia, animals can lead high-quality lives!